State fishery managers have declared a “night closure” for salmon and steelhead fishing effective Sat., Aug. 18 on a large stretch of the Columbia River and two of its tributaries due to concerns about this year’s summer steelhead run. Starting that day, anglers must also release any steelhead they intercept in Drano Lake or the Wind River, where steelhead are known to linger to escape warm water conditions in the mainstem Columbia River. 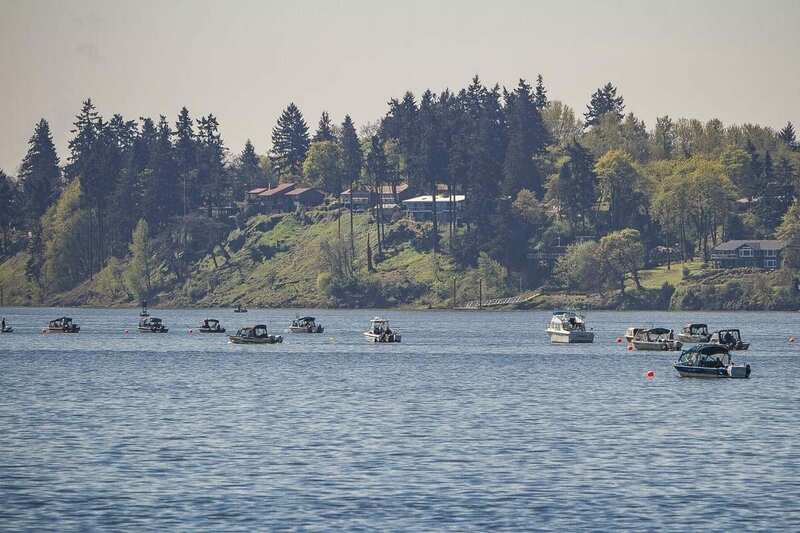 Ryan Lothrop, Columbia River coordinator for the Washington Department of Fish and Wildlife (WDFW), said those measures were prompted by lower-than-expected passage of summer steelhead at Bonneville Dam and concerns about warmer than normal water temperatures. Midway through the run, the count of both hatchery and wild steelhead passing the dam is running short of the pace needed to reach the preseason projection of 190,350 fish, he said. “Under these circumstances, it is important that we take some precautionary measures to protect steelhead as they move upriver,” Lothrop said. The Columbia River: The night closure will be in effect from Buoy 10 near the river’s mouth upriver to the Highway 395 Bridge in Pasco. Drano Lake and the Wind River: The night closure and the steelhead-fishing closure will both be in effect in Drano Lake and from the mouth of the Wind River to 400 feet below the Shipherd Falls fish ladder. Anglers fishing for other species such as northern pikeminnow and walleye can continue to fish at night in Washington waters. Anticipating that this year’s summer steelhead returns would be more depressed than the preseason forecast, fishery managers took several measures to constrain fisheries before the season began. This year’s regulations have limited anglers to one steelhead per day, and restricted the time, area, and gear available to commercial fisheries. For more information, see the fishing rule changes for the Columbia River, Drano Lake, and Wind River at https://fortress.wa.gov/dfw/erules/efishrules/.